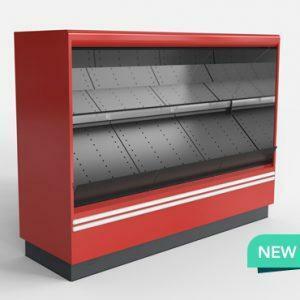 The new open refrigerated multideck Calista is designed to attractively present fruit and vegetables to your customers and keep them fresh for longer. Calista is spacious, it has a high front thus creating larger display area. Our new multideck is designed with a special mirror system which creates the impression of abundance of products and highlights them. Plug in or remote – according to your needs.